I'm experiencing that post-Christmas shopping lull. You know what I mean, when you really want to go shopping, but can't reasonably say you need anything since you just got a bunch of stuff with Christmas money? Also, since I haven't had much luck on the subbing front thus far, I can't really justify going out and buying myself treats. 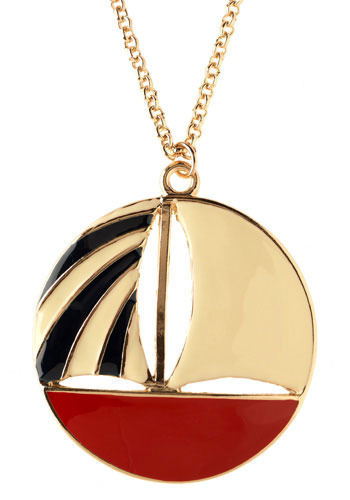 BUT...there's this necklace I've really been coveting, from ModCloth. It's cute and kind of kitschy, but not in a way that looks cheesy. So my look today was inspired by what I would wear if I had the necklace. That way, when I get some spending cash, and if it's still there, I'll be ready.